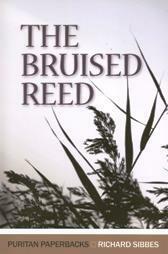 I just finished reading Richard Sibbes’ The Bruised Reed, which is his lengthy exposition of Isaiah 42:3, “a bruised reed He will not break, and a faintly burning wick he will not quench; he will faithfully bring forth justice.” It is one of most clarifying, moving, and edifying books I have ever read. What I mainly learned from this book, if I had to try to condense it into one sentence, is that Christ does not merely tolerate weak believers, but He is drawn to them, showing them special tenderness and compassion in order to further them in sanctification. (That last part “in order to further them in sanctification” is important, corresponding to the last clause of Isaiah 42:3 and showing how Sibbes’ extravagent emphasis on grace does not cross the line into libertinism.) I very much recommend it! “None are fitter for comfort than those that think themselves furthest off” (14).